Brandon's Bee & Wasp Removal Services has been in business for more than 35 years. We are a family owned, local business and have been servicing the Greater New Orleans area for more than three generations. We consider ourselves bee's experts. Our specialty is the control of all of the stinging insects including honeybees, bee swarms, bee hives, ground bees, bumble bees, wasps, yellow jackets, and hornets. We service residential and commercial customers, and all of our services are provided by experienced beekeepers who understand the habits of the stinging insects. We are equipped with protective clothing so that a minimum use of pesticide (sometimes none at all) is required for control. We Offer HUMANE REMOVAL OF HONEY BEES AND WASP. When you hire Brandon's Bee Services, ONLY BRANDON him self will remove your infestion, NOT "some part time summer helpers" Brandon's bees are all humanly relocated to a three acre bee farm in Houma, La. were all Honey bees removed on jobs are relocation for honey production and honey sales. 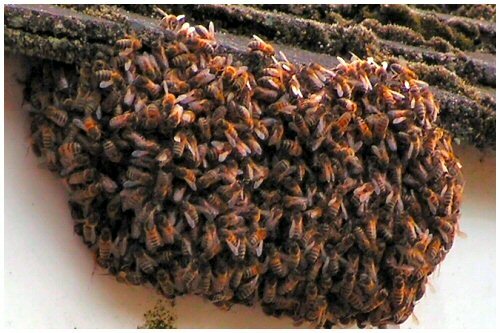 We ARE a no-kill honey bee removal company that charges the same as a traditional exterminator. We get calls almost every day from people around the Greater New Orleans who have a hive of honey bees in a place where they really should not be. Sheds, shops, walls, dead trees... even shipping containers. Almost all of them are calling us because they want the bees removed, but they don't want the bees harmed. We specializes in no-kill hive removal. We have been doing no-kill removals since before people knew that honey bees are in trouble . It has always been our exclusive method of handling wayward bees. We ARE NOT a Pest Control Company. If you are looking for someone to spray poison on a hive of bees, please click the 'Back' button on your browser now. We would also encourage you to stop eating since most of the food you eat needs bees to polinate it somewhere along its production path. 1. 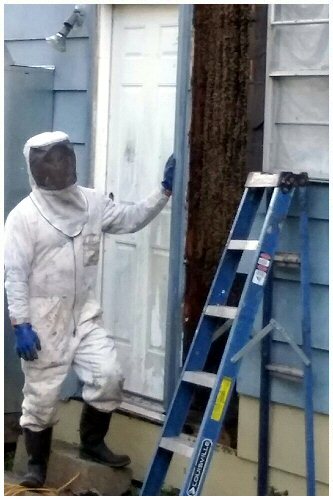 Honeybee and hive removal, wasp pest control . 2. Sale of raw honey to the community. 3. We also sell Bee Hives to local garders in South Louisisana with delivery. We have a 'No Surprises' policy. You don't want surprises and and neither do we. Before we arrive to remove the bees, you will know exactly what we are going to do and how much it will cost you. Copyright © 2011-2015 Brandon's Bee and Wasp Removal Services.